Just some more doodles from the sketchbook. 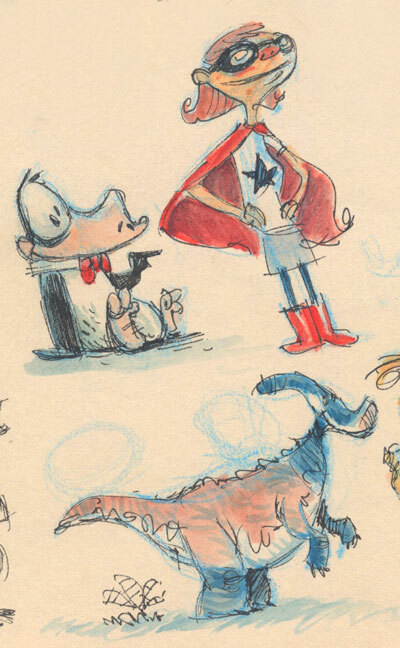 Here we have Opus the Penguin, Faith Erin Hicks’ Superhero Girl, and a Parasaurolophus colored like a Canada Goose. Enjoy!